U.S Rep. Joaquin Castro speaks at the meeting at Audie Murphy Memorial VA Hospital. The chairman of the Hispanic Caucus appeared at an event in San Antonio on Thursday that sought to highlight veterans' exposure and explore relevant legislation and court rulings. "The gap is that if a service member passes away, or is too sick to register himself or herself, a family member is not allowed to go and register for that person," he said. "So this legislation would simply allow family members then to go register service members who have been affected by burn pits exposure." Castro also wants the VA to add obliterative bronchiolitis, a progressive lung disease that is sometimes reported by veterans after exposure to burn pits, to agency's disability ratings system. His bills are Family Member Access to Burn Pits Registry Act of 2019 (H.R.1001) and the Burn Pits Veterans Revision Act of 2019 (H.R. 1005). Rosie Torres of the nonprofit group Burn Pits 360, Ware Wendell of Texas Watch, State Rep. Roland Gutierrez and attorney Mike Doyle joined Castro at the event at Audie Murphy Memorial VA Hospital. Torres successfully lobbied Congress and the Obama administration for the creation of the VA's national burn pit registry, which contains the health information of over 164,000 veterans, who submitted their data voluntarily. The database is meant to help researchers identify medical issues that could be related to exposure to burn pits. Torres also explained the registry's limitations, echoing Castro's concerns that family members can't register a veteran themselves if the veteran is unable to do so. Without that information, she said, the researchers can't track mortality. "You need to know who's dying," she said, "what they're dying of and at what rate." The other problem with the registry, she said, is that registered veterans can't report a decline in their health. Torres thinks the key to solving both problems is in Texas. She said more than 18,000 veterans in the registry are from Texas, the most of any state. She wants the Texas Legislature to create a statewide registry that would allow families to register their veterans and accept the health updates. She explained how she and her allies want "the state of Texas to set precedence and create a registry that would allow these things to take place. It would put pressure on Congress at a federal level but it would also allow us to collect data now rather than later." Gutierrez reiterated his commitment to establishing a statewide burn pit registry, and he highlighted two pieces of legislation, House Bill 306 and Senate Bill 131, that might move that objective forward. "We're going to make sure that we have a Texas registry for burned vets," he said. "This is today's Agent Orange, and we have to do better for you, and we will." Doyle is a Houston-based lawyer who has taken on burn pit cases. He believes congressional action rather than more time in courtrooms is the best way to help burn pit veterans. He pointed to a civil lawsuit against military waste disposal contractor Kellogg Brown and Root that failed when the court ruled the contractor was immune. 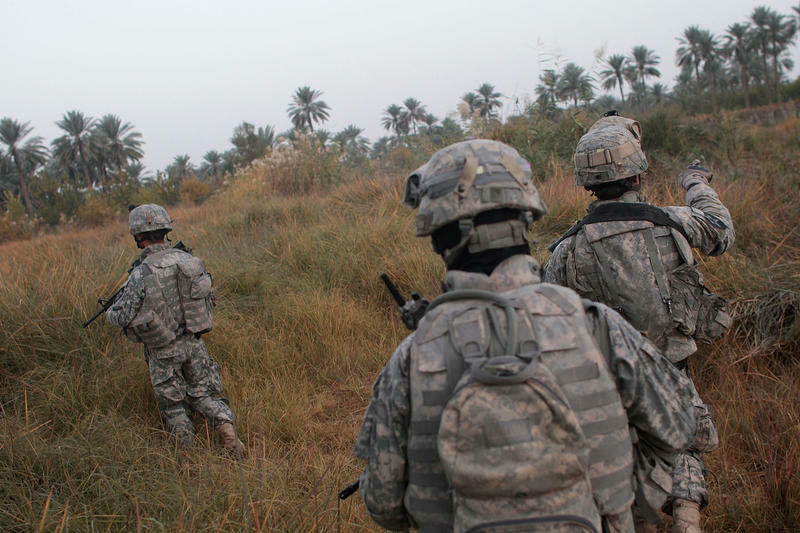 He said the court ruled that because KBR was involved in "a military action in Iraq and Afghanistan, there was no way that they should be held accountable in a court of law." The decision was eventually appealed to the U.S. Supreme Court, which declined this year to hear the case. Doyle emphasized that those exposed to the toxic fumes should be part of the VA's national burn pit registry. "Making sure everybody knows how many people is affected," he said, "is really one of the most important ways that something can be done to the VA and what's set up for our veterans." The event at Audie Murphy Memorial VA Hospital. 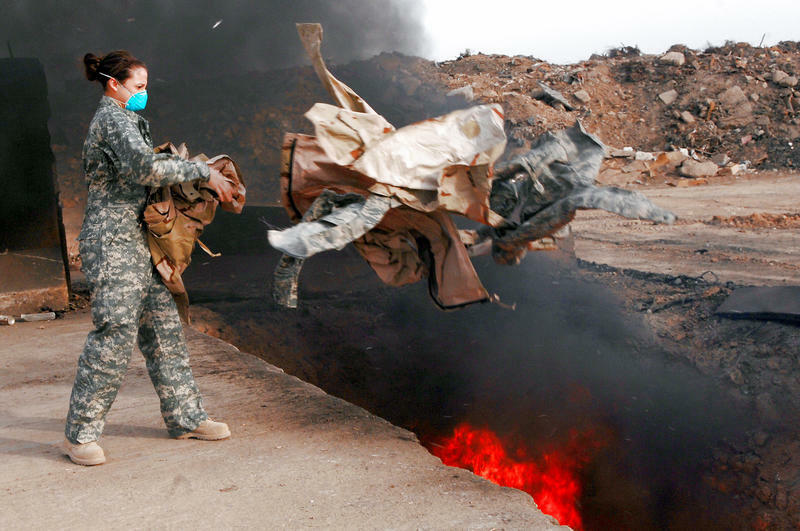 Daniel Vargas is a 20-year U.S. Air Force veteran and is one of the thousands of veterans who believe their health has suffered due to the exposure of burn pits. He attended the Thursday event. The Gulf War veteran remembered that "we used to burn classified material in a burn pit. So we were at the burn pit burning classified material that we had to get rid of. ... There's no case history in my family, no case history of muscular dystrophy on either sides of my family," he said. "And for me to have it, being exposed to the burning oil wells and things like that in the first Gulf War -- I really believe it's an issue to my service." "If we don't take care of these veterans that come back with these issues," he said, "we're going to stop being an all-volunteer country. Who's going to want to serve [in the military] when they see a young 20-year-old or 30-year-old with unknown cancers that should never have a cancer?" Lauren Terrazas can be reached at Lauren@TPR.org and on Twitter at @terrazas_lauren. Fernando Ortiz Jr. contributed to this report.